How to fix a slipped rib? What is a slipped rib? A slipped rib or in other words slipping rib syndrome occurs when the joint(s) that form between your ribs and spine and/or between your sternum and ribs move out of proper alignment. The condition can also be referred to as tietze’s syndrome or Chostochondritis (usually referring to the joints between the sternum and ribs located in the chest wall). 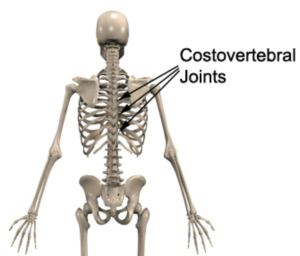 After this injury occurs, the ligaments that hold the joint(s) together get stretched. This “stretch” creates irritation, pain, discomfort or “pinched nerve feeling” in the upper back (and sometimes down the arm) and the opportunity for the rib to slip out of place again and again. Often times, it can feel as if a dagger or sharp object is digging in between the shoulder blades and can cause shortness of breath (appearing like a heart attack or panic attack). What causes a slipped rib to become slipped? Slipping Rib Syndrome or slipped ribs occur frequently in life. Often slipped ribs go misdiagnosed and thus under-reported. They are caused by various reasons. Bending, twisting, lifting, reaching, pulling can cause the rib to slip. Furthermore, they may be caused by trauma to the body such as being tackled from the side in sports, jumping, or getting hit in a car accident, prolonged or forceful coughing, uneven lifting of heavy objects (furniture, heavy backpacks, luggage, lifting winter/summer tires, etc). How Can I Treat my Slipped Rib(s)? There are many approaches to treat a slipped rib: anti-inflammatories, chiropractic care, physical therapy and strengthening, and sometimes prolotherapy (Prolotherapy, also called proliferation therapy or regenerative injection therapy is an alternative medicine treatment of tissue with the injection of an irritant solution into a joint space, weakened ligament, or tendon insertion to relieve pain). How does Dr. Luciano Di Loreto (Chiropractor) treat a slipped rib using Chiropractic care? Slipped ribs can be treated by various techniques. One technique is to relax the musculature with heat, interferential current (muscle stimulation that assists in pain reduction), acupuncture, and registered massage therapy. Recently, I have also been exploring the using of shockwave therapy to treat this conditions (I will comment more about this in an upcoming blog). These techniques may assist in soothing the pain or realigning the rib(s) and vertebrae. A second technique and the one preferred is to adjust the rib(s). This will also assist in realigning the rib and vertebrae into a ‘normal’ or more comfortable position. The Ontario Chiropractic Association defines an adjustment as a highly skilled and precise movement usually applied by hand to a joint of the body. Adjustment loosens the joint to restore proper movement and optimize function. When a joint is adjusted, a gas bubble escapes causing the popping noise you may have heard about. Chiropractic adjustment techniques have been researched extensively. Complications are rare and side-effects, such as temporary soreness, are usually minor. How is a slipped rib adjusted by Dr. Luciano Di Loreto? One technique is to have the patient lie on his/her stomach on a chiropractic table. 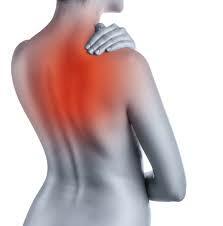 The adjustment is applied by the chiropractor to the area where the slipped rib(s) is/are irritated. The adjustment to the area is very quick. Following the adjustment, the patient usually knows whether or not that rib(s) is/are still irritating them. Most of the time the pain goes away. Sometimes, the muscles around the slipped rib remain tender to the touch. Another techniques is to have the patient sit at the end of the chiropractic table. The patient sits facing away from the table. The patient is lowered onto the table and will usually feel the pop or click once he/she reaches the table. A third technique that is is to have the patient lay on their side facing the practitioner. In this case, Dr. Luciano Di Loreto, will apply his hand along the area of concern. While in this position, patient will relax and take a deep breath. A small and quick amount of pressure/force is applied and the rib should adjust into alignment. Following these adjustments (only one maybe used), the patient should feel relief and be able to take a deep breath without the sharp dagger like pain in the back. After the adjustments, it is always good practice to use a heat pack to soothe the muscles in the region. Trained Chiropractors and other trained practitioners can perform these rib adjustment procedures in various ways. Always consult a trained health practitioner when contemplating treatment. Please note that I have NOT exhausted and/or discussed all the options for dealing with a slipped rib. I have only touched on a few that I find work for my patient’s. Do your own research and if you have any questions, please send them along and I will do my best to address them. Look forward to comments. Hope you found this information on the slipped rib syndrome interesting. To make an appointment to see Dr. Luciano Di Loreto (Chiropractor & Acupuncture Provider), please contact the office at 647.873.4490. Fit for Life Wellness & Rehabilitation Centre is a health clinic located in Vaughan, Ontario, just north of Major Mackenzie on Weston Road (Located in the Vellore Medical Centre & Walk In Clinic). If you have questions for Dr. Luciano Di Loreto & Associates, please contact us and we will get right back to you promptly with information on your conditions/concerns.